Before your Algiers trip, reading this efficient travel guide for the city will make you get the most out of your trip. Algiers is not like no other. Once you step into this alluring city, you are mesmerized with its rare beauty, rich architecture, the effects of its turbulent history and of course the soothing nature. 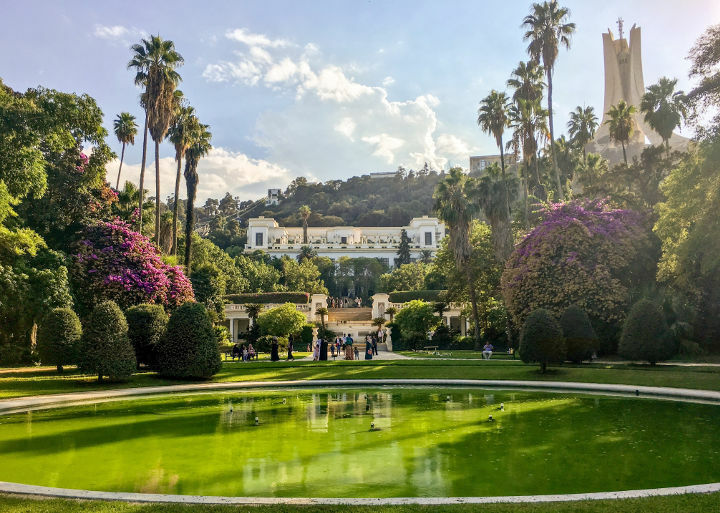 In Algiers, you’ll experience the components of the Islamic life, witness the history in UNESCO’s world heritage site Casbah or just enjoy the nature. The multicultural texture of Algiers will enrich you. The significant traces of French colonialism, Ottoman era and of course the Islam are just everywhere to add up to the cultural richness of the city. The people speak 3 languages which are Berber, Arabic and French. And if you want to speak English, most of them can communicate with you. People of Algiers are another bright side of this unique city. They’re warm blooded and hospitable like you haven’t seen anywhere before. They will try to give you more than you need when you ask something from them or they will not leave you until they are sure you have arrived where you want to go. If you are not accustomed to this kind of a helpfulness you may find it strange but for most Algerians, this is like a duty that they are happy to take on. So if you have prejudices about Algiers, leave them away and spend at least 2 or 3 days in this beautiful city. It never fails to make an impression and it will definitely make you want to come back again. 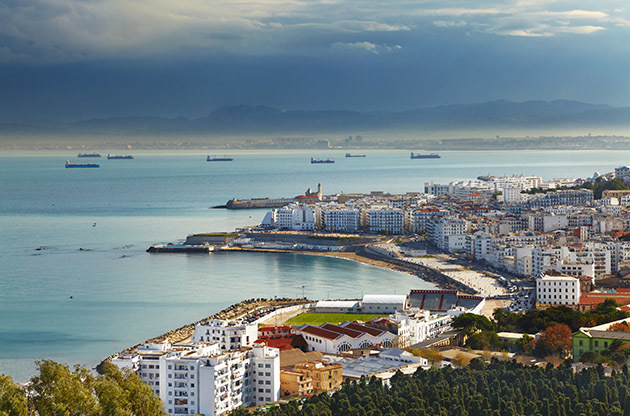 The capital city of Algeria, Algiers is situated on a bay of the Mediterranean Sea on the north of Algeria. The only airport in Algiers is Houari Boumediene Airport which is located 20 km away from the city center. The national airline of Algeria is Air Algerie and it has many direct and indirect flights to Algiers. For more information about the transportation options to and from the airport, you can visit the official website of Houari Boumediene Airport. Notre Dame d'Afrique is a Catholic basilica located in the northern side of the city. Because of its position that is on a 125m hill offering breathtaking view of Bay of Algiers. 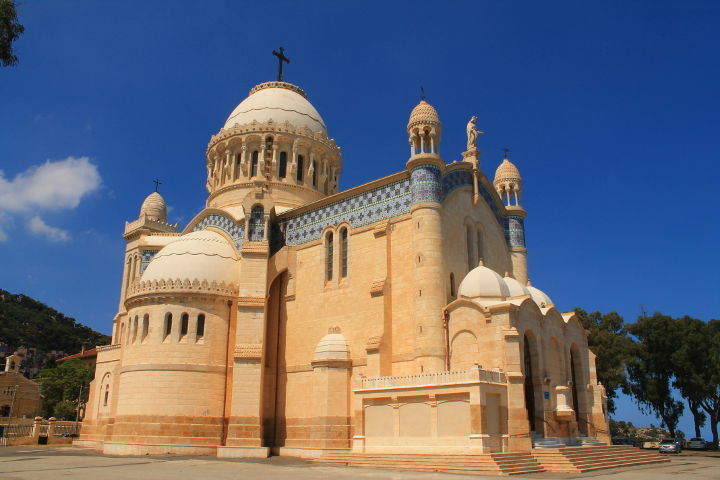 Built in Neo-Byzantine style, it is known as one of the most fascinating places to visit in Algiers. If you want to witness the living history, La Grande Poste d'Alger is a place that is beyond your expectations. This post office is a perfect example of Moorish architecture and near the entrance, you’ll see fanciest post box in the world! Being in UNESCO’s World Heritage list, Casbah is an ancient area in Algiers dating back to 17th century. There are many Ottoman palaces and mosques in the area that are worth visiting. Among them are Ketchaoua Mosque, El Djedid Mosque and the oldest mosque in Casbah, El Kebir Mosque. Opened in 2007, Museum of Modern Art Algiers was used as a department store before. This Neo-Moorish building was inaugurated as a modern art museum at the occasion of Algiers, capital of the Arabic culture in 2007. And since then it exhibits many great pieces in the name of Modern Art. Algiers was not accustomed to shopping malls until the last 5 years. The people were doing the shopping in small shops or marketplaces. But today, Algeria got its share from the shopping malls. Until this kind of shopping is new to Algeria, the shopping malls are swarming with many people. The most popular shopping center in Algeria is Centre Commercial Bab Ezzouar. Although you may not find the famous international brands, the local brands sell everything from clothing to jewelry. Traditional flea markets are the places where local people generally do their shopping. Bargaining is customary in those places and shopping in these places may be really profitable if you trust in your bargaining skills. The most popular flea market among the locals is the one that is located near El Jedid Mosque in Casbah. You’ll find insanely cheap stuff from souvenirs to traditional dresses. The historic Rue Didouche Mourad is the best shopping street in Algiers that houses many boutiques. If you are looking for perfect souvenirs, a small tour in this street will be fruitful for you. Although nightlife in Algeria is not that fantastic, it generally meets the expectations of most visitors. Alcohol is not prohibited except for Ramadan but the prices are expensive. In the main towns of the city, you can find good nightclubs or restaurants. In a traditional yet modern atmosphere, El Mordjane serves Algerian cuisine and it is popular especially among the tourists. However, the prices are reasonable. It is located in rue Hassiba Benbouali. Located in Centre Commercial Bab Ezzouar, Havana Club is another great place for you a great night out. 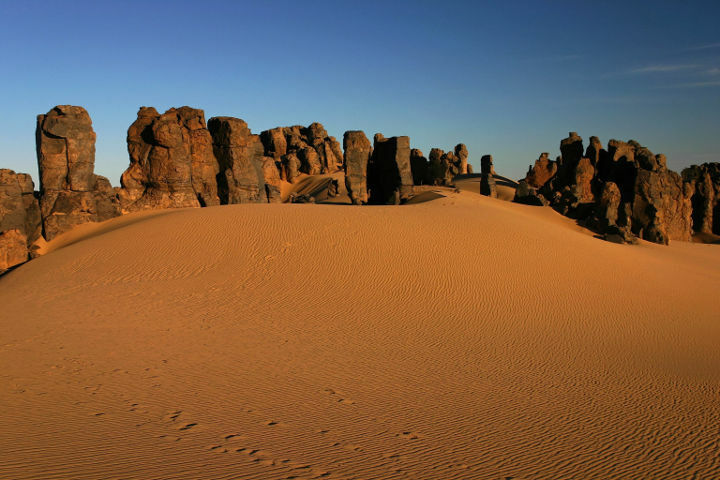 Tamanrasset is an oasis city located in Sahara desert and it is really worth a visit while you are in Algiers. It offers so many things in the name of Tuareg culture and the lifestyle as well as an unforgettable experience of being in a desert.